The suspects allegedly purchased local companies and claimed blank VAT invoices in their names to sell to others, who then issued the invoices to companies needing to evade taxes. Police raids one of the gang’s 10 offices in Shanghai on Wednesday. Over 220 suspects were caught for allegedly illegally selling value added tax (VAT) invoices in the largest tax crime case in Shanghai in recent years, police said on Thursday. The gang, based in Shanghai, allegedly purchased local companies and claimed blank VAT invoices in their names to sell to 25 others who issued invoices in excess of 1 billion yuan (US$150 million) since March this year. Those 25 suspects, who were based in Shanghai, Beijing, and Zhejiang and Guangdong provinces, have also been nailed, and police estimate that the invoices they illegally issued have caused tax losses of over 100 million yuan. A major suspect, a man surnamed Yang, established an “investment company” in Shanghai earlier this year, together with two of his relatives, to run the scheme. 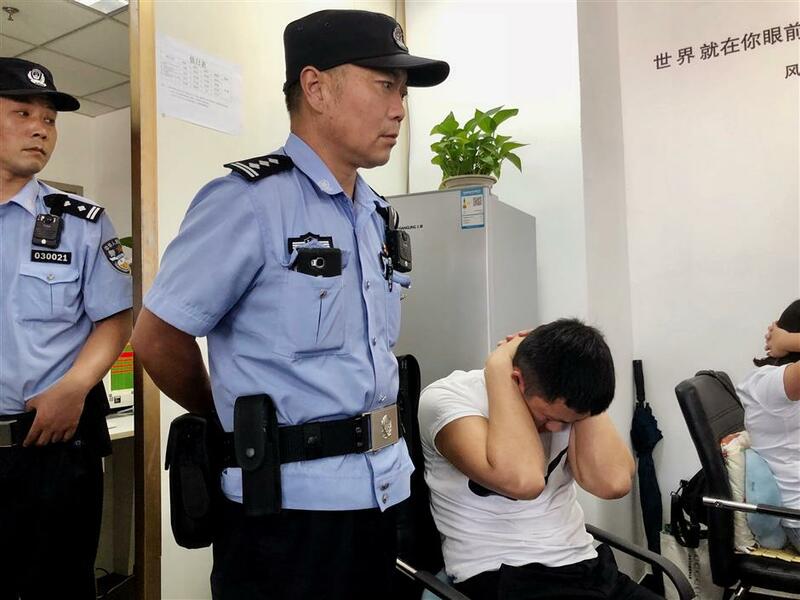 They employed people to make calls to local companies and offered 2,000 to 15,000 yuan to purchase failing ones, police said. In the names of those companies, they claimed blank VAT invoices from the tax bureau and sold them to others at a profit. Police said they often sold the blank invoices for five to 10 times what they purchased the companies for, and estimated that they profited about 10 million yuan every month. The company had over 200 employees and operated in 10 offices around Shanghai before it was taken down by the police. The employees were all accommodated in the company’s dorms. Police raided 16 locations in the early morning of Wednesday, where they discovered business information of over 1,000 companies and over 1,000 business stamps, as well as 70,000 blank VAT invoices. The gang could potentially have claimed another 140,000 blank VAT invoices at the total face value of 12.6 billion yuan within the next two months, causing 1.8 billion yuan of tax loss to the government. All of the suspects are now under detention, and police said they will continue to investigate companies that were sold to the gang, and also those to whom the VAT invoices were issued. Police in Chongming District started their investigation in June after receiving reports from companies that VAT invoices for about 10 million yuan were issued in their names to other companies without their knowledge. Those companies turned out to be among those that were sold to the gang.